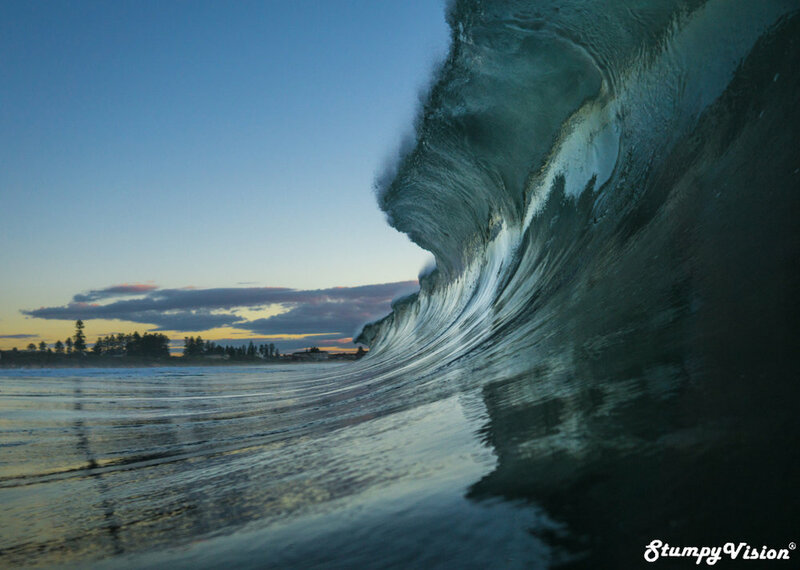 Commonly known as surfer’s ear (exostoses), it occurs when a surfer's ear has constant exposure to cold water which causes the ear canal to develop bony growths that reduce the size of the ear canal and can result in water blockages and infections. 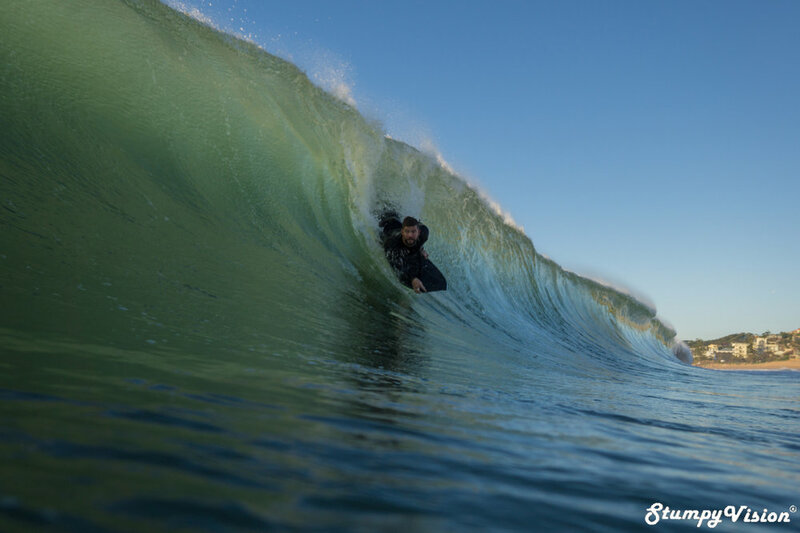 This is a common issue faced by many avid surfers but if left unattended can create some serious health problems down the track. In the more extreme cases (worst case scenario) permanent deafness can result where the bone growth has completely blocked the ear canal. If the condition gets this exreme then the only treaennt is with expensive, painful and highly intrusive ear surgery referred to as ear drilling. Extreme measures with painful surgery. Maybe best to avoid this aye? In recent years I have begun to experience symptoms of surfer’s ear. Being a surf photographer I cannot really afford to be out of the water but I cannot not afford expensive ear surgery either. 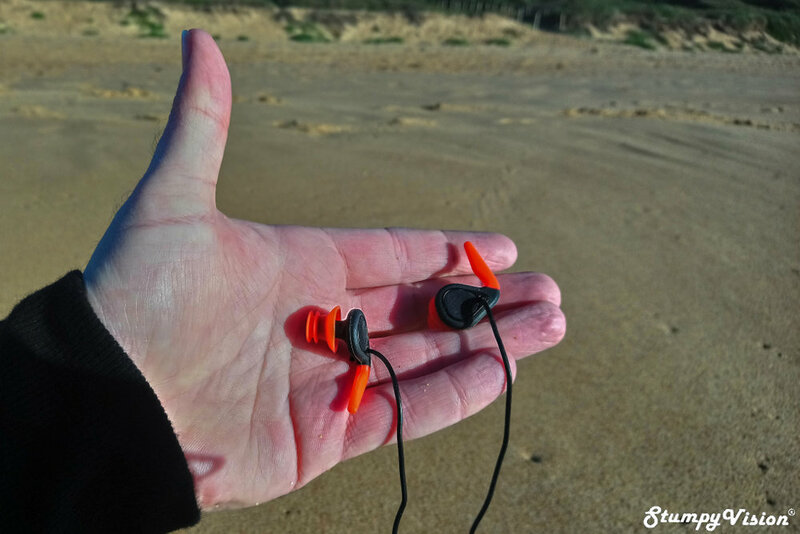 I would find that after 3-5 days spent in the ocean my ears would start to get clogged with water and sometimes my ear canal would close up resulting in partial deafness for up to 7 days before the irritation would abide. It is a scary predicament at times but also highly impractical as the majority of my work involves talking to clients over the phone. If I can barely hear what my clients have to say…well lets just say that this goes in the bad things category. What is even more frightening if left unaddressed the condition will worsen and could result in full blown deafness which is definitely in the bad, bad things category. If the situation was to get this extreme then ear surgery is the only cure. 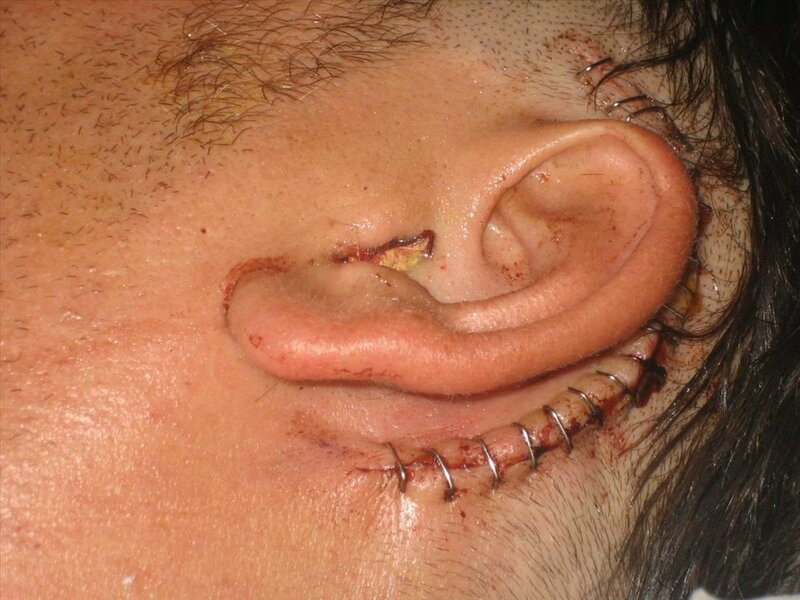 The surgery is actually much worse than it sounds as to gain access to your ear canal they usually cut the back of your ears away from your head and sew them back on once they have finished…yeah not cool, not cool at all. Surgery is definitely not an option for me. To protect my ears and out of fears of my condition rapidly deteriorating I have been constantly on the look out/trial of a broad range of prevention options but so far to no avail. I have experimented with everything from ear plugs, silicone inserts/plugs and even in desperation.. blu-tac. More often than not these options would fall out in the water, block all sound, collect sand and even make my ear aggravation worse. Not ideal at all. I had heard good things about the new innovative ear plugs from SurfEars but they had always sounded a little to expensive for my liking. However, it dawned on me that the price was nothing compared to $10,000 ear canal surgery that would be not only painful on the pocket but also the body. Retailing at $64.95 AUD a pop, all of sudden the cash outlay did not seem that bad after all and I decided to take the plunge. Within mere days of placing my order a small parcel arrived on my doorstep. The goods come packaged in a tidy and smart plastic zip lock bag and inside you will find a set of SurfEars neatly presented in a small padded and highly practical zip lock case, an instruction manual and some stickers thrown in for good measure. What I find very impressive here is not only the attention to detail and visible quality of the product itself but everything just oozes with quality, very smart indeed. What is truly impressive about the product is that it is not a "one size fits all" approach but that they offer a truly customisable solution that can be tailored specifically to your ear shape. They supply three different sizes for each internal ear plug so you can select which size fits best within your ear canal. There are two different sizes for the outer frame to select the best option to fit snugly on your outer ear and hold the plugs in place. Furthermore, the internal core has to different notches which are used to adjust the position of the internal plug within your ear. 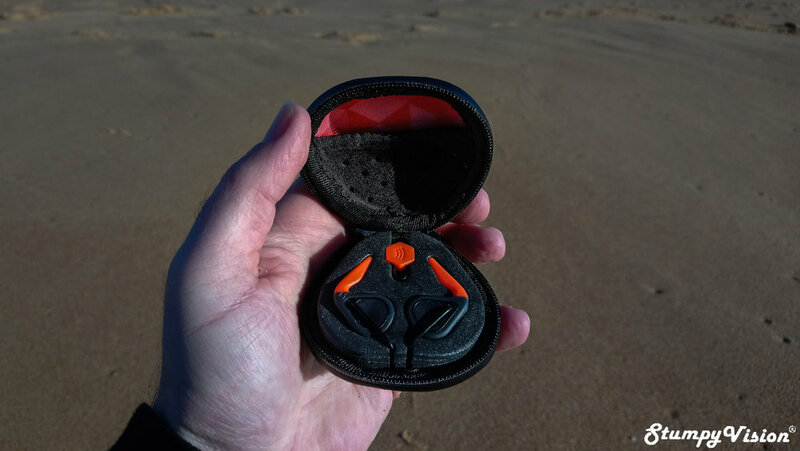 It will take a little bit of trial and error to find the optimum fit but such innovative customisation enables you to construction the most comfortable and perfect fit possible regardless of what ear shape you have. Other features that also stand out for me are the highly flexible and light weight nature of the product as all components are made from light weight and highly flexible rubber. Very impressive so far. 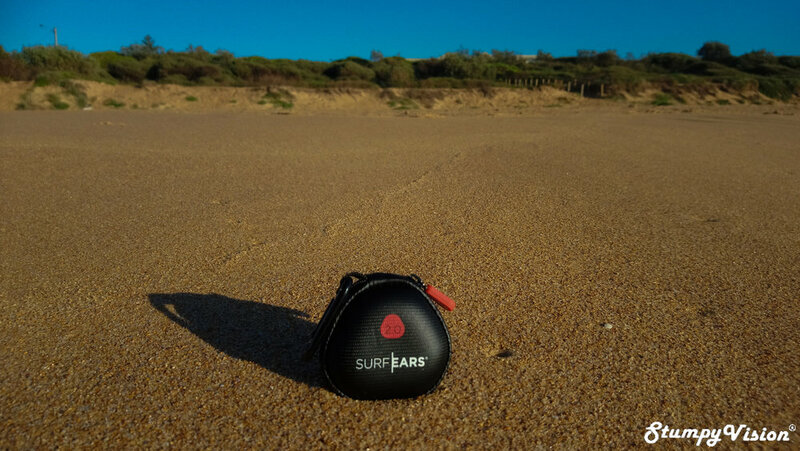 Another neat yet essential feature is the flexible rubber tether cord which will prevent your plugs from getting lost during heavy wipeouts, a definite must to avoid you losing $65 investment in the ocean. One key feature that SurfEars like to emphasise is that these plugs while keeping water out still allow for sound to come in which is a feature which no other product I have encountered on the market exhibits. They are able to achieve this by utilising an extremely dense mesh like lining on the outside of the plug which prevents water entry yet still allowing for sound to pass through. There is nothing worse than having a passionate conversation with your fellow surfing buddies and not being able to hear a single word that they are saying. All of these amazing features sound pretty good so far right? But do these cute little plugs actually work? 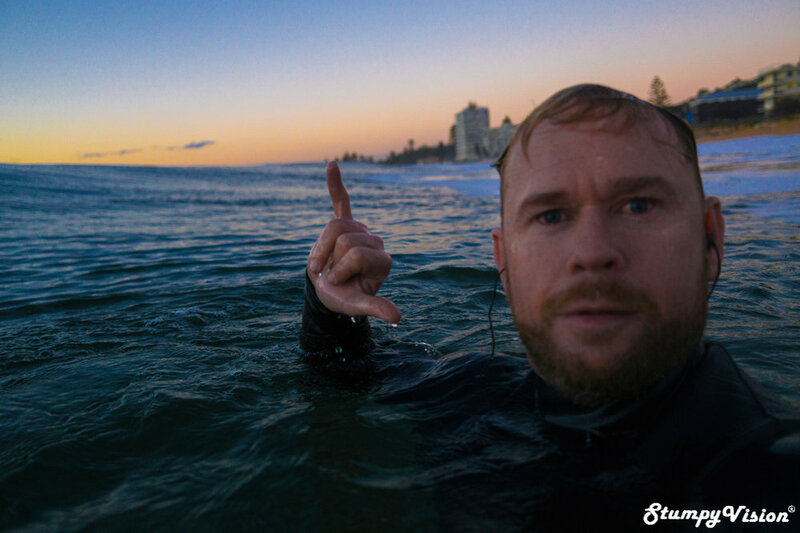 No better way to find out than to give them the ultimate test run at one of Sydney’s most heavy and most notorious beachbreaks, South Narrabeen. This unforgiving wave is renown for producing thick heaving barrels that are quite often twice as wide as they are high. A true photographers dream and the ultimate testing ground for this product. 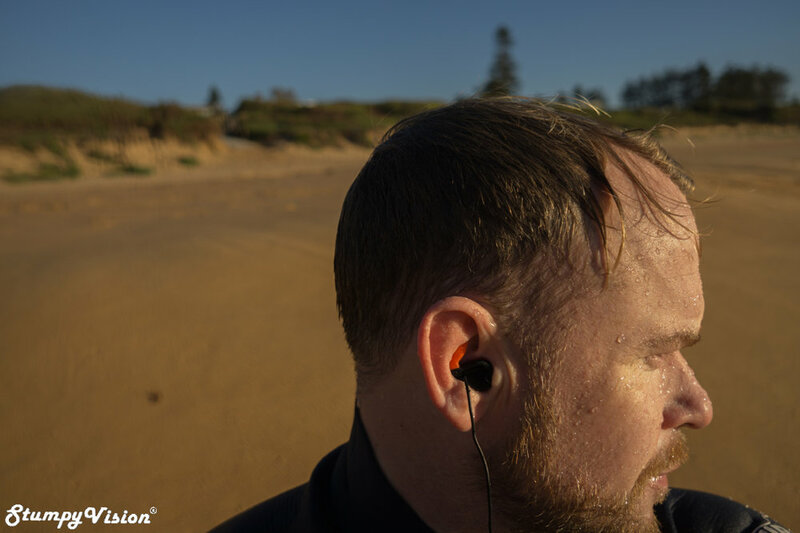 When initially inserting the plugs into your ears they feel a little intrusive but once you are in the water you quickly forget that they are even there. But do they do what they say on tin.…keep water out and let sound in? I can testify to the fact that they do just that. Virtually no water entered my ear during the first session. While the plugs enabled me to experience respectable hearing levels but if I am to be totally honest here the sound was a little muffled at times and it was difficult to hear conversations clearly from distance but hey this is definitely better than not hearing anything at all right? 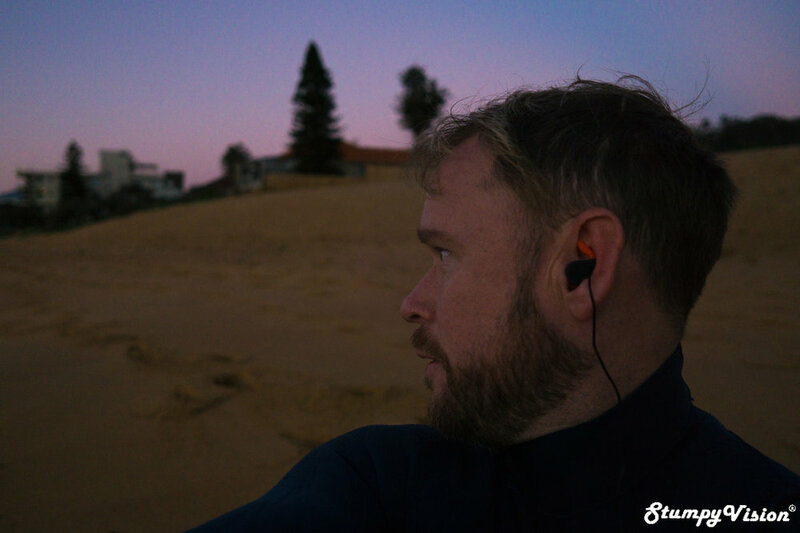 The plugs were very comfortable and held firmly in place during the entire session despite experiencing many a beat down from the 2 meter plus sand thumping South Narrabeen barrels. Despite the heavy and testing conditions SurfEars passed with flying colours and held in place during the entire surf. A double thumbs up from me. 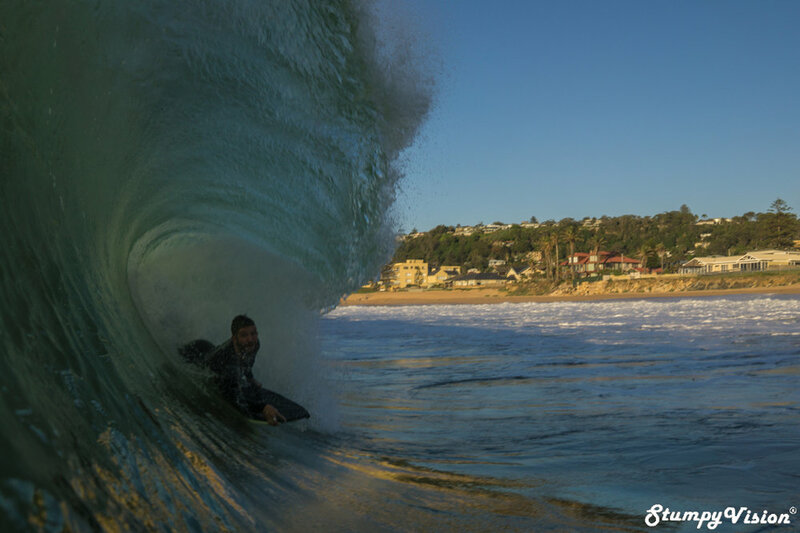 Chad "Fatty" Barlow enjoy the perfect conditions this day. Chad in a solid keg, perfect conditions to give the product a true test run. Fatty chilling in the fat cave. SurfEars get a shaka salute from me. Still entact after a 2 hour session in solid conditions. Ok, sure SurfEars are a great product but are they worth the $65 outlay? Well if you are currently experiencing issues with surfer’s ear take note that surgery can cost anywhere close to $10,000. 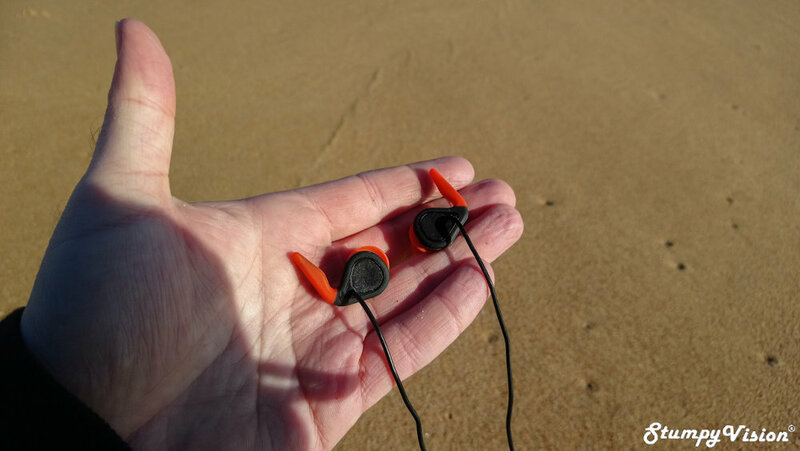 So is it really worth not taking precautions to protect your ears? Just to reinforce my need for the product I forgot to wear my SurfEars in my next session in the water and my right ear filled with water and closed up for the next three days with very limited hearing. I am adamant that thanks to SurfEars my condition will not deteriorate in the future. I’m sure you will agree that it is not exactly rocket science to make a small investment for long term peace of mind.